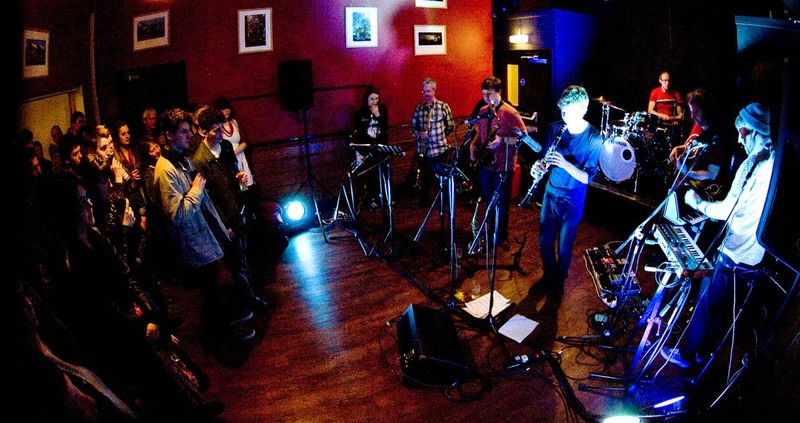 The 2014 Lancaster Jazz Festival takes place between 18th - 21st September and will feature a range of top UK, regional and young musicians, including Lancaster's own The Initiative (pictured above). The festival will take place at three main locations in Lancaster - The Dukes Theatre, The Hall cafe and Sun Square, an outdoor stage. Renowned UK musicians Courtney Pine and Dennis Rollins will appear on 18th and 21st respectively with Pine bringing his House of Legends show and Rollins' Velocity trio. The festival has an emphasis on contemporary, original music and many of the musicians in the programme will be familiar - Elliot Galvin Trio, Samuel Eagles, Slowlight Quartet, Paul Edis and Tom Green septet to name a few. Jazz North will host a session for musicians on Friday 19th September as part of their How Do We Get More Gigs programme, with a panel discussion and information on funding for jazz musicians. Their Introduces scheme will also feature, with Jam Experiment performing on Friday, too. Full line-up and information on the festival can be found at the Lancaster Jazz website.